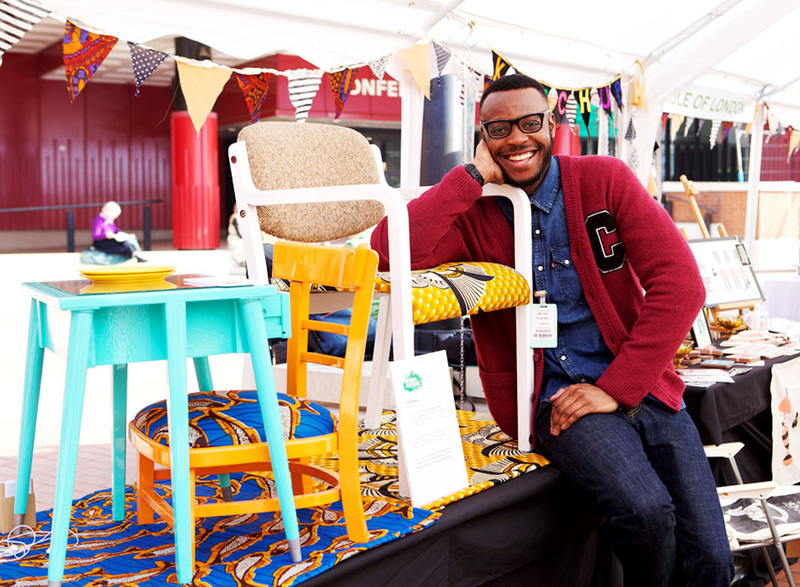 Yinka Ilori: My name is Yinka Ilori. 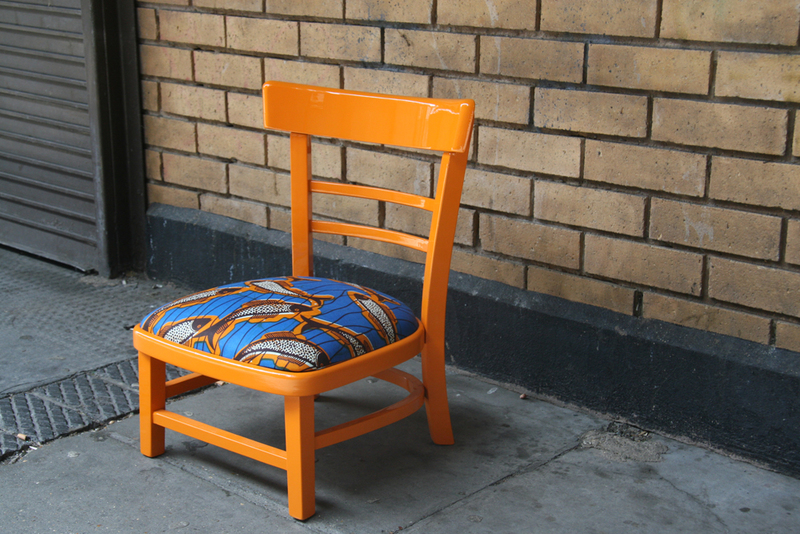 I am a up-cycled furniture designer from East London who re-loves discarded furniture and re-loves them by giving them a new life/meaning through the use of traditional Nigerian parables that I grew up with as a child. All of my work is inspired by traditional Nigerian parables, which makes each piece inherit it’s own story which users can pass on to others. I mean Nigerian parables are absolutely beautiful. Such small parables have such big meanings and I am so blessed and lucky to have the opportunity to incorporate them into the designs, my furniture. I want people to be able to take something away from my work and share it with other. Yinka: Wow that’s an interesting question……energetic, ambitious, humorous, bold, confident. APiF: What is your cultural heritage and how does it inspire you? Yinka: My cultural heritage is Nigerian. My mum is from Ondo State and my Dad is from Ekiti state. I love the two cities and the one thing that inspires me about both of them is there work ethics, I mean its phenomenal! Whenever I go to Nigeria I just love how both cities work hard and make things possible with the little they have, that’s very inspiring. The top of all inspirations has to be each states nickname. Ekiti’s nickname is ‘Fountain of Knowledge’ and Ondo state is called ‘Sunshine State’. These also inspire me all the time whenever I wake-up in the morning. APiF: You share your first name with the great artist Yinka Shonibare – has his art had any influence on what you do? Yinka: I absolutely love Yinka Shonibare’s work, I have always appreciated his art. I mean I could look at his art for days and days. I love that he examines in particular the construction of identity and tangled interrelationship between Africa and Europe and their respective economic and political histories. His way of working and way of thinking has definitely influenced my work because I now always design furniture with a meaning not just because it looks good. 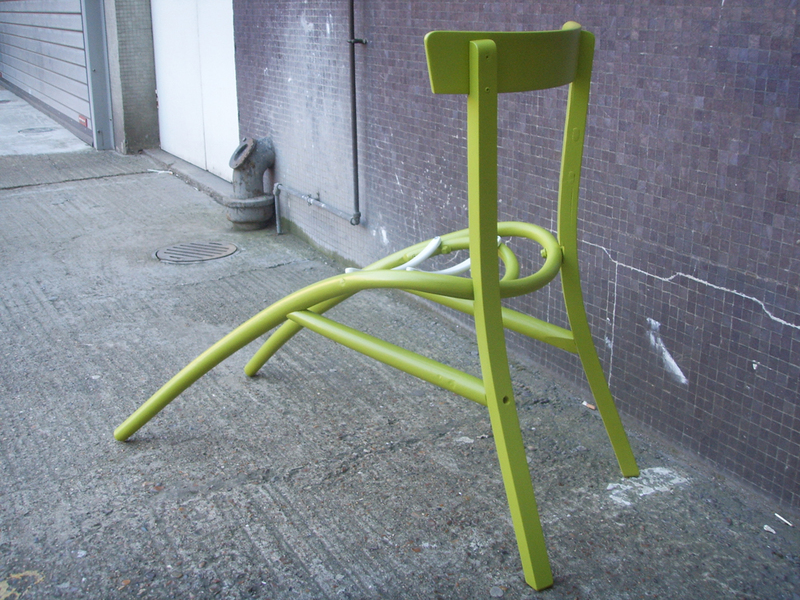 Its interesting you asked this question, people have always said they see my work as art not furniture so who knows what I could be creating next! Watch this space! APiF: Where do you find the old/used furniture pieces that you work with? 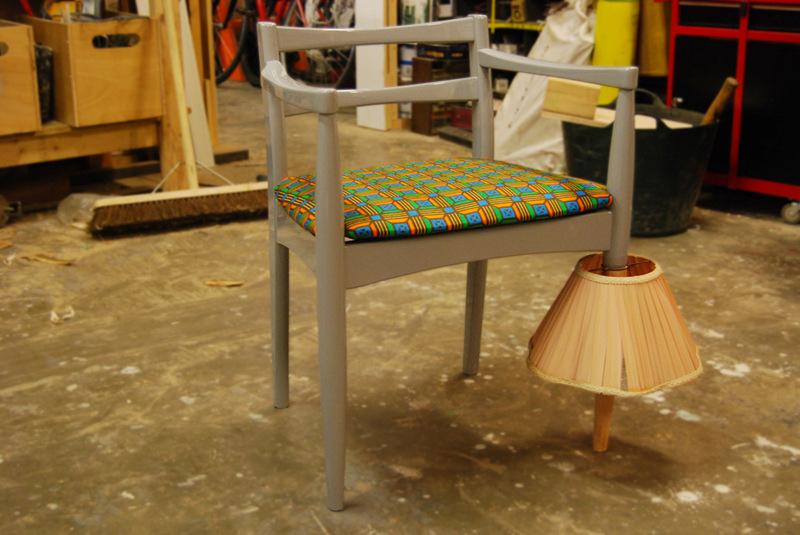 Yinka: I find most furniture in charity shops, some are given to me and if I’m lucky I find some on my travels which happens to be the best finds to be honest. APiF: Your favorite piece of furniture in your apartment? 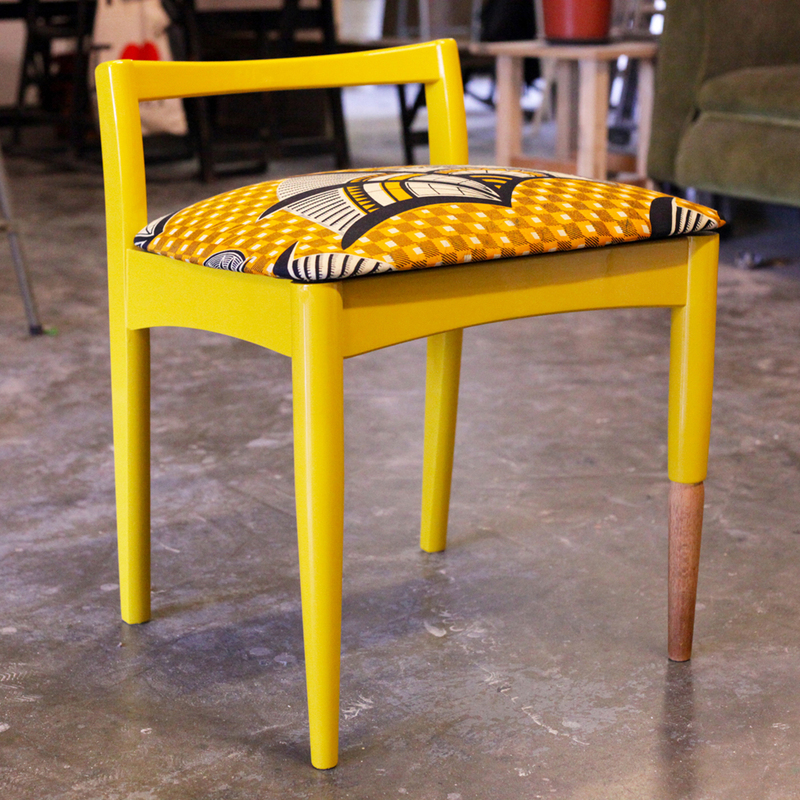 Yinka: It has to be my 1950’s G-plan table, I love love love it. APiF: Any tips for new designers/start-ups? Yinka: Learn to preserve and be patient, these were the two toughest things I learned when starting out and now the hard work is paying off – well I think.